What better way to create a futuristic environment than by living like an astronaut in your own home. 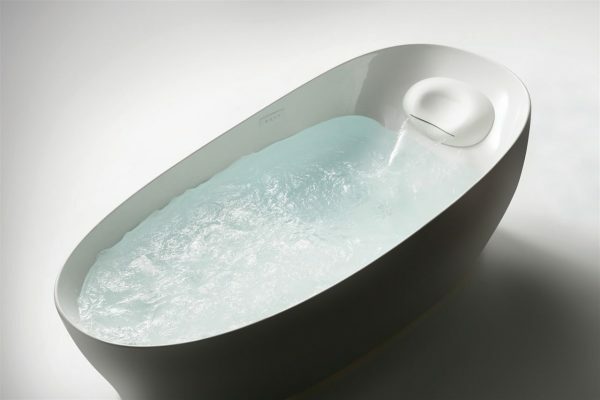 You can do exactly that with the new Flotation Tub with ZERO DIMENSION from TOTO. 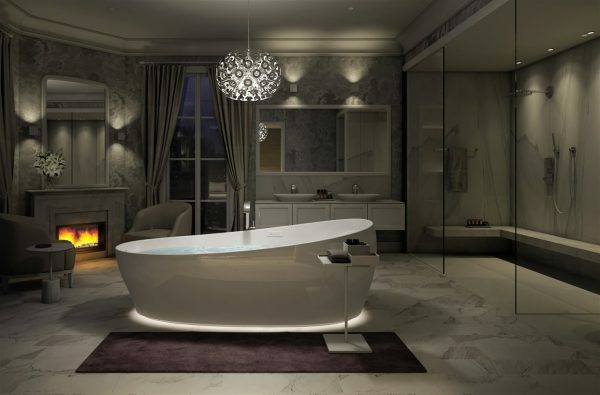 Made from proprietary Galaline man-made marble, the stylish tub combines a luxury spa aesthetic with space-age technology that simulates zero gravity by offering bathers a weightless experience. After more than a decade’s research, TOTO discovered that a unique posture — with the reclining body stabilized and the hips, knees and ankles flexed — reduced the joints’ mechanical energy/load to nearly zero. Astronauts sleep in this position; it enables the most relaxing rest possible. Cerebral blood flow studies show activity in the left ventrolateral prefrontal cortex — the part of the brain responsible for language — is dramatically reduced, enabling a meditative state.